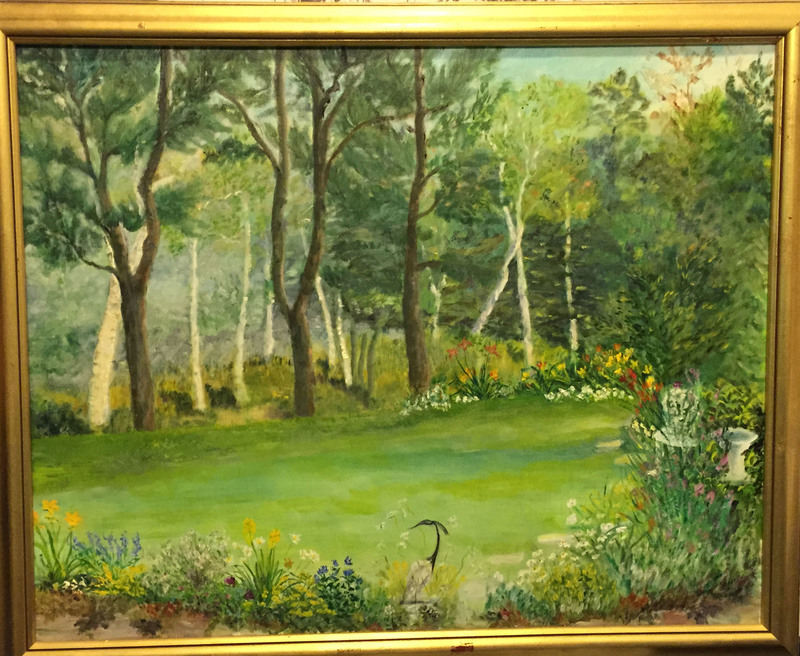 canvas: 30 1/2" x 40"
Frame: 31" x 40 1/2"
Joanne De Bergh was born on February 22, 1918 in The Hague, Zuid-Holland, Netherlands. She was an actress, known for Call Northside 777 (1948) and The Doctor and the Girl (1949). She was married to Amos Dublin and Tully Flomenhaft. She died on March 11, 2005 in the USA. Her first husband was killed by Nazis during the occupation of the Netherlands in World War II. Taught ballet for 26 years in Westport, Connecticut. Retired from acting to get married and raise a family in Westport, Connecticut. Joanne de Bergh, “Untitled,” Westport Public Schools Digital Collections, accessed April 24, 2019, https://collections.westportps.org/items/show/1897.